14bn dollars for the gas, and 8.2bn in lost transit revenues. Naftogaz Ukrainy demands in the Stockholm court that the Russian gas monopoly Gazprom paid an over 14bn dollars compensation for the overpaid amounts for the purchased natural gas, and $ 8.2bn in lost revenues from gas transit. 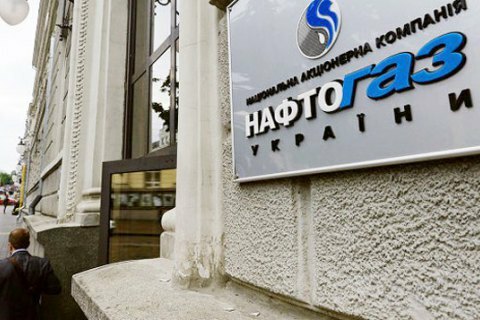 In an audited consolidated statement, Naftogaz says it has a contractual right to demand the revision of the contract price to bring it to the market level. The company believes that as of 31 December, 2015 the company has paid for all its obligations for the delivered during 2010-2015 gas, and seeks compensation for the amount it deems overpaid at 14bn dollars, reads the statement. Meanwhile, Gazprom in its June 2015 counterclaim said the Russian company is entitled to 31.8bn dollars for the gas, that Gazprom has not delivered, but for which payment was due by the principle "take or pay", and demanded the return of the debt for the years 2013-2014, which Naftogaz does not recognize. Under the transit contract, Naftogaz seeks 8.2bn dollar in compensation for the shortfall due to the decrease in transit revenues. Taking into account that the actual volumes of transit in 2010-2014 were significantly below the base amount, the level of payment for gas transit has never been revised. The company seeks compensation for lost revenue from the international gas transit at 8.2bn dollars, reads the statement. Naftogaz argues that as the actual payment for the transit was calculated for the transit of certain volumes of Russian gas through the territory of Ukraine (the basic volume of transit) and Ukrtransgaz costs are is mainly fixed and thus a decrease in transit volumes should result in higher the level of transit fees per volume unit. On 25 September, Stockholm Arbitration Court began oral hearings in the dispute between Naftogaz and Gazprom. The decision in the main dispute is expected to be issued before the end of Q1of 2017, and on contract conditions on gas transit through Ukraine – before 1H of 2017.